Audionote provides a wide range of video conferencing solutions ranging from basic Skype for Business to complex Cisco and Polycom solutions. 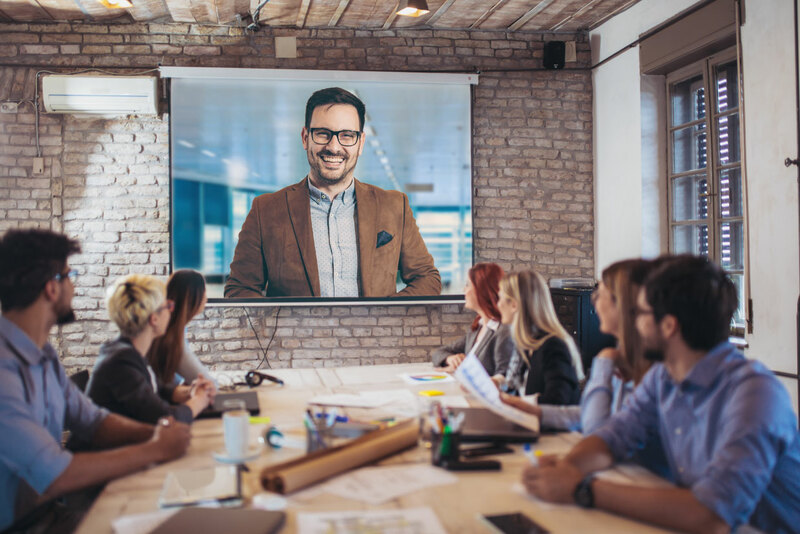 Our solutions are completely scalable with a low entry level of a software base solution to in-house multi conference systems and web video conferencing. Technology and connectivity advances now present all companies with cost effective options to video enable face-to-face communication and sharing of data from individual desktops, Huddle Spaces and larger meeting venues. Video Conferencing solutions enable convenient and efficient communication and expedite decision-making whether you are connecting with colleagues on the other side of your campus, out in the field and on the other side of the world. By video-enabling communication between offices anywhere around the world – whether point-to-point or multi-conferencing via a cloud video conferencing – your business and your customers can benefit from a collaborative, multidisciplinary approach to solving problems, making decisions and creating value on a more frequent basis. There is a video conferencing solution just right for your business. Our experts will help you to select and design the solution that will give you the best return on your investment.